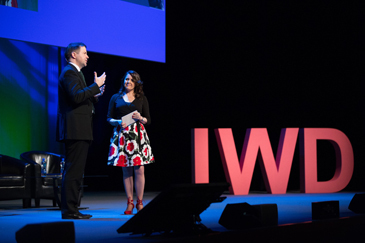 Pauric Dempsey (Royal Irish Academy) and Michelle D. Cullen (Accenture Ireland) presenting the Women On Walls project at the 2016 International Women’s Day. Women on Walls is a campaign by Accenture, in partnership with the Royal Irish Academy (RIA), that seeks to make women leaders visible through a series of commissioned portraits that will create a lasting cultural legacy for Ireland in 2016. The programme is simultaneously raising awareness of the gender gap in STEM and supporting Accenture’s global Inclusion & Diversity agenda. Accenture is commissioning five portraits of leading women academics to recognise their achievements and inspire future generations. The five portraits will consist of four individual portraits of the first four female Members of the Royal Irish Academy, elected in 1949. The fifth portrait will be a group portrait of eight women scientists, who are recipients of the European Research Council Starter Grants 2012 – 2015 and have been chosen as representatives of a generation of outstanding young female scientists working in Ireland today. The portraits are planned to be placed on public display in the main hall of the Royal Irish Academy towards the end of 2016. The five new portraits will be the first portraits of women subjects to grace the walls in the Academy’s 230 year history. Phase 1 of the project is drawing to completion with the appointment of the chosen artist(s) for the commission. In total 55 submissions were received from the Open Call to artists, all of which were of a very high standard. As part of Business to Arts’ ongoing CEO Forum series, PwC will host next month’s Business to Arts CEO Forum. The Forum is a group of 100 CEO’s from across business and the arts in Ireland who come together each year to discuss new models of partnering and engagement between the cultural industries and the wider business sector. On May 18th, the CEO Forum will discuss how Irish corporates are leveraging new technologies to engage differently with customers, bringing their assets, heritage and story to a wider audience. The recent PwC Global CEO Survey ‘Redefining Business Success in a Changing World’ found that nine out of ten CEOs say they are changing how they use technology to assess customer and wider stakeholder expectations, and deliver against them. 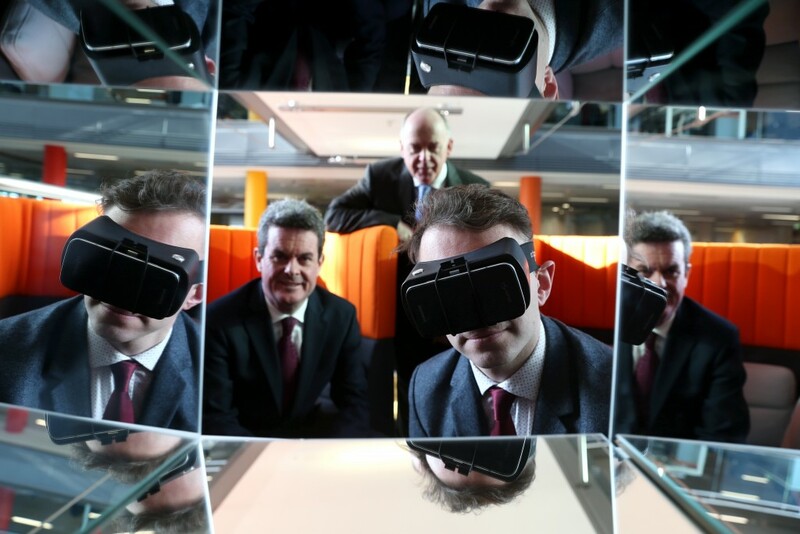 PwC managing partner Feargal O Rourke said technological and digital advances were “game changers” for business and consumers alike. The Business to Arts CEO FORUM takes place at the PwC headquarters at Spencer Dock on Wednesday May 18th. Speakers include RTÉ chief digital officer Muirne Laffan, An Post Director of Communications and Corporate Affairs Barney Whelan, Alex Gibson from the DIT School of Hospitality, Management & Tourism and Irish Times Managing Editor Liam Kavanagh. We are delighted to announce that Business to Arts are seeking applications for the Docklands Arts Fund from artists and not-for-profit, charitable & voluntary arts organisations. 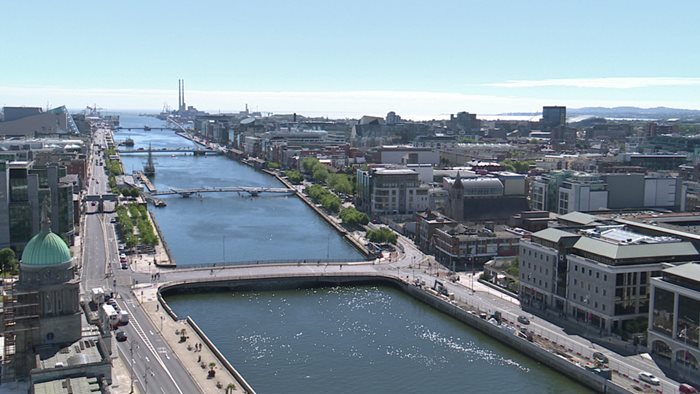 The objective of the grant round is to contribute funds to a range of artists and arts organisations working in the Dublin Docklands Area. Approximately 3 grants of a maximum of €7,000 each will be given to projects by July 2016. Additional opportunities will be announced during 2016 and applications will be accepted from 6th May – 27th May 2016. Projects that widen access to participation to arts activities and arts education for under-represented groups, such as persons from low-income background, those with disabilities, older people etc. To Download a PDF of the Briefing Criteria and a Hard Copy of the Online Form , click here.